Select Quantity 16 oz. 32 oz. Case of 6 16 oz. Case of 6 32 oz. Give your home or business a breath of fresh air! 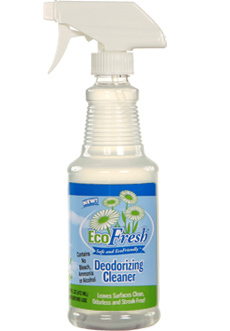 Our deodorizing cleaner replaces all purpose cleaners, glass cleaners and even air freheners! This easy to use product leaves surfaces sparkling clean! Best of all, you can clean up your indoor air and breathe easier.